On 21.04.2019 at 08:00 temperature in nearby Makarska is 14°C, humidity 65%, preasure 1023hPa. Wind blowing from northeast 1m/s. 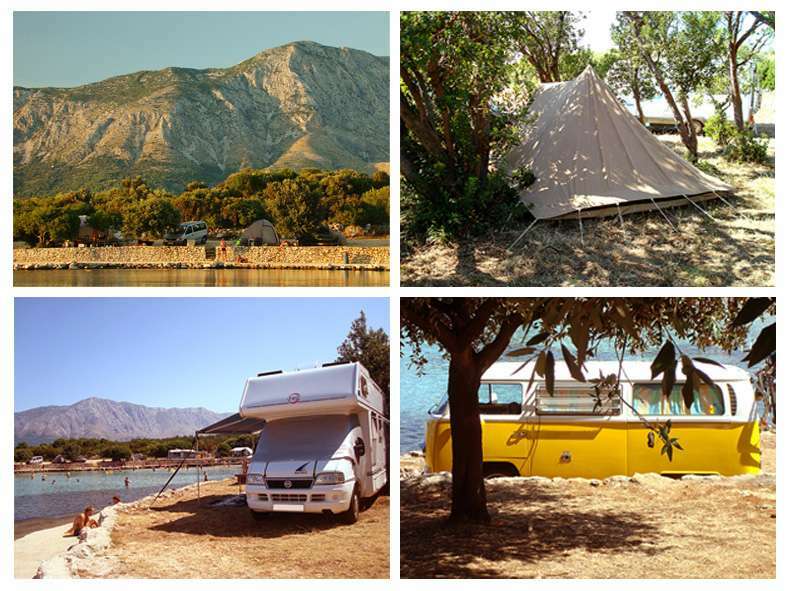 At approximately 20,000 square meters, in the shadow of pine trees, Mlaska can welcome nearly 200 tents, divided into naturist and textile section. Sand beach and the facilities are no more than 50 meters of easy and relaxing walk away. Power supply is available for caravans. One half of caravan site is fkk. Please note that we DO NOT accept reservations for tents and camper cars because we are unable to fulfill requests for special positioning and individual needs of our guests. All of our 20 wooden bungalows (25 square meters in size) cater to four to six persons. They offer all necessities needed for a pleasant stay, including shower, fridge, kitchen sink, gas oven and water closet.